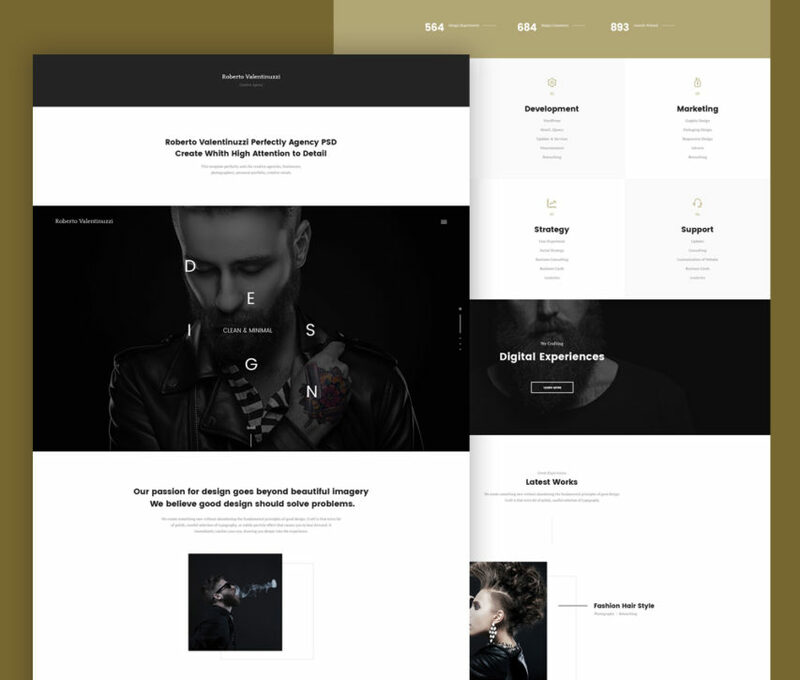 Download Portfolio Template PSD for Creative Agencies. A free landing page template design for portfolio, web designers, online advertising agencies or any business campaign. It has a minimalistic, clean and modern design.The design is minimalistic and clean with a lovely combination of gold and black on a light canvas. You can edit and customise this Portfolio Template PSD for Creative Agencies fast and easily. The Portfolio Website Template Free PSD can be useful for any other projects as well. Hope you like it. Enjoy!